A great solution for DTS® and Dolby® Digital surround sound, OSD Audio Digital Optical Audio Cables use superior-grade optical fiber to deliver better clarity and a more natural sound. 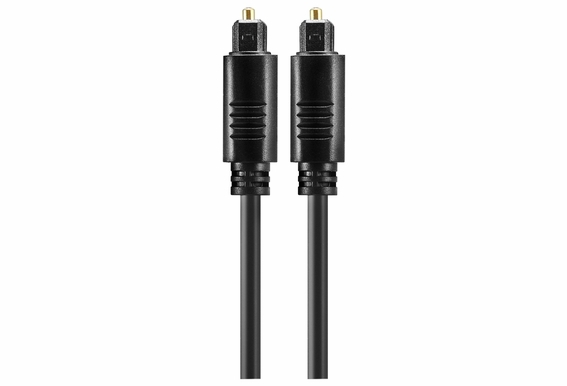 You'll be amazed by the difference this inexpensive cable can make when listening to 5.1 or 7.1 digital surround surround. Optical Audio uses polished optical terminations and optical fiber to transfer digital signals through pulsating light. Because fiber is immune to all forms of EM/RF interference, you'll get the purest, most detailed sound possible.